Rossini’s Il barbiere di Siviglia – a comedy of class and manners with a dark heart and some of the greatest operatic earworms ever written. In this episode of the Glyndebourne podcast, experts including Stephen Wadsworth, Director of Opera Studies at The Juilliard School, international soprano Danielle de Niese and Francesco Izzo, Head of Music at the University of Southampton discuss the work. Music from the EMI Classics recording of Il barbiere di Siviglia featuring Vittorio Gui conducting the Royal Philharmonic Orchestra with Victoria de los Angeles as Rosina and Sesto Bruscantini as Figaro. 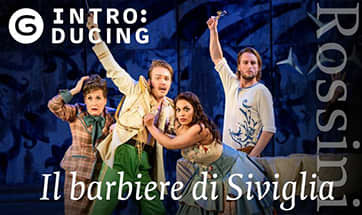 Il barbiere di Siviglia premiered in 1816 in Rome. It’s an adaptation of the first part of the very popular Figaro trilogy of plays by the French writer Pierre Caron de Beaumarchais, written and performed between 1775 and 1792, just before and during the French Revolution. Beaumarchais’ trilogy belongs to a more politically charged era than Rossini’s operatic version, says Stephen Wadsworth, Director of Opera Studies at The Juilliard School. Il barbiere di Siviglia, Festival 2016. Photo: Bill Cooper. The second part of the trilogy is The Marriage of Figaro, adapted as an opera by Mozart in 1786. This instalment is more radical still due to its proximity to the French Revolution, and because Beaumarchais became more left-leaning as the trilogy progressed. In Il barbiere di Siviglia we get to see the characters of Le nozze di Figaro as they were earlier in their lives. When we meet Rosina, her romantic, and indeed financial, future seems not to be in her own hands. But is she tougher than she seems? In her famous and feisty aria ‘Una voce poca fa’ we get an early glimpse of the formidable countess Rosina will become in the next chapter of Beaumarchais’ Figaro trilogy. When we next meet the youthful, spirited Rosina in The Marriage of Figaro, she’ll have aged a bit and morphed into a rather different character. Learn more about Il barbiere di Siviglia by listening to the full podcast. 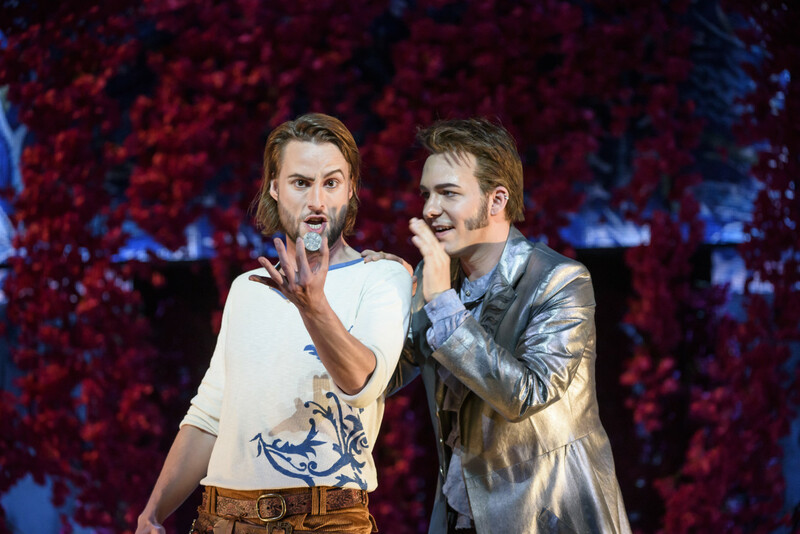 Il barbiere di Siviglia is on stage this summer as part of Festival 2019 – book now. The Glyndebourne podcast features a growing library of episodes that delve into the music and magic of some of the greatest operas ever written – listen to more episodes here.